WAF England and Wales are organising an October Rosary Campaign as a follow up to the Visitation of the Fatima Statue, and Relics of Saints Jacinta and Francisco, to many dioceses and cathedrals last year, as a contribution to the re-evangelisation of our country, under the maternal guidance of the Queen of the holy Rosary and Mother of the Church. 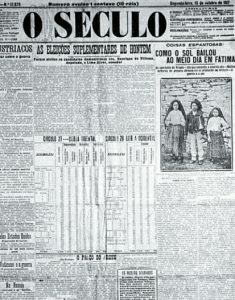 October is the month of the Rosary, and of course 13 October is the anniversary day of the famous Fatima Miracle of the Sun on 13 October 1917, when at least 70,000 people who had gathered at the Cova da Iria in Fatima, at the place where Our Lady appeared to the children, saw a tremendous miracle. So we would like to celebrate October as the month of the Rosary by inviting parishes, groups, families and individuals in England and Wales to pray the Rosary during the coming month of October. And hopefully by that means, a habit will be formed and people will want to go on praying the Rosary throughout the year! Pope Leo XIII (1878 -1903) wrote numerous encyclicals promoting the Rosary, and encouraged the practice of saying the Rosary every day in October. And since Our Lady requested during each of her six apparitions at Fatima that people should pray the Rosary for peace in the world, we know that the Rosary is a prayer she particularly favours. And while it’s very important to emphasise the Rosary, it’s also necessary to promote other aspects of the Fatima message, such as the Five First Saturdays devotion, which includes Our Lady’s request for recitation of the Rosary and meditation on the mysteries. The centenary of the apparition of Blessed Virgin to Sr Lucia in Pontevedra, where she revealed the details of the First Saturdays devotion, occurs in 2025 – so this is an important date to work towards. And we also want to highlight more general Marian items and themes, such as the Brown Scapular, and personal consecration to the Blessed Virgin, as well as devotion to her Immaculate Heart. You can see details about the Rosary here, and then follow the links at the bottom of that page for details about how to pray, and meditate on, the Rosary. It would be a good follow up to having October as the month of the Rosary for parishes to begin the Five First Saturdays devotion (if that doesn’t already happen), the following month, November, carrying on through till March 2019, and even beyond that, so it becomes a regular feature of parish life, while also encouraging the saying of the Rosary in the parish and in people’s homes. To this end, we would also like to publicise our Rosary Pledge campaign, as a way of encouraging as many people as possible to pray the Rosary daily, in imitation of what happened in Austria in the 1940s and 50s (see below). The fact is that the Fatima message is over a century old and yet still far too few Catholics know much about it. Thus the emphasis we would like to place on the month of October, and particularly 13 October, as the Fatima anniversary date, and also because Our Lady linked the conversion of Russia and the promised era of peace with the message she was giving at Fatima. If a Rosary campaign is something you can start, with your parish priest’s permission, in your parish this coming October, please let us know, and likewise, if you are able to start up the First Saturdays devotion in your parish. But even if a parish-based Rosary campaign isn’t possible, there’s nothing stopping anyone organising the praying of the Rosary in their family, or with their friends or neighbours. And please circulate information about this October Rosary Campaign as widely as possible! In every one of her 6 Fatima apparitions Our Lady specifically asked for the Rosary to be said. This aspect of her message could not have been more emphatic. 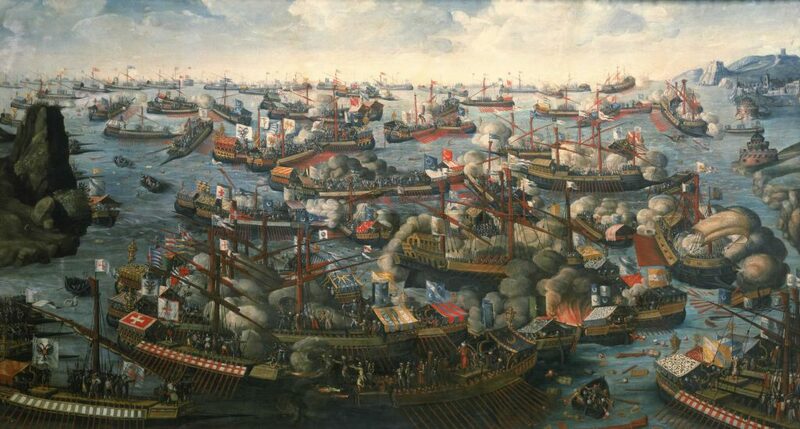 There have been a number of historical incidents in which praying the Rosary has played an important part in upholding the Church and the Faith, including the Battle of Lepanto, in 1571, when at the instigation of Pope Pius V, a rosary campaign was instrumental in preventing the invasion of Europe by an Ottoman Empire fleet whose object was to subjugate Europe to Islam. The resounding victory which ensued against overwhelming odds led to the Church establishing the “Feast of the Holy Rosary,” which is celebrated on 7 October every year. Another victory of the Rosary was obtained in 1955, when the occupying Soviet Army voluntarily left Austria. Fr Petrus Pavilicek, a Franciscan, had organised a Rosary Crusade from 1946 onwards, as a result of which in due course ten percent of the population of 7 million, that is 700,000 people, were praying five decades of the Rosary daily for peace in the country. He also organised candlelit processions through the streets of Vienna with a pilgrim Virgin statue of Our Lady from Fatima, that were led by the Federal Chancellor. 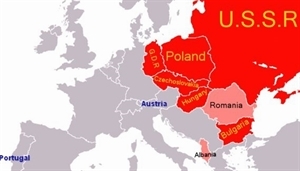 On 13 May 1955, the 38th anniversary of the first apparition at Fatima in May 1917, it was announced from Moscow that the Soviets were willing to withdraw from Austria and sign a peace treaty. This was the only time in the history of the Soviet Union that the Red Army voluntarily withdrew from a country it had occupied, without firing a shot. In contrast, the attempted uprisings in Hungary, in 1956, and Czechoslovakia, in 1968, were brutally put down by Soviet tanks. Shortly before the last Soviet troops left the territory of Austria, on 26th October 1955 there was another huge torchlight procession in thanksgiving in Vienna. In his address to the vast crowd, Raab, the Federal Chancellor, asked Austria’s faithful Catholics to remain true to their faith and unswerving in their prayers to the Queen of heaven. “But for today”, he concluded, “we want to send up a joyful prayer to heaven and end it with the words: ‘We are free ! Mary, we thank you !’” (He taught millions to pray – Fr Peter Pavlicek, OFM, by Hilda Firtel, Rosary Crusade for the Peace of the World, Vienna). These incidents—and there are not a few others besides that can be cited, such as the extraordinary liberation and completely unexpected resurrection of the Church in Portugal following the Miracle of the Sun on 13th October 1917, when Our Lady proved to the vast crowd of 70,000 awestruck spectators that she had indeed been appearing to the three shepherd children—show the power of the daily recitation of the Rosary to change history, especially when enough people pray it fervently for the same intention. All that is required is for enough Catholics in England and Wales to commit themselves to pray the Rosary daily for the re-evangelisation of the Church and the conversion of the country. Surely it is not too much to ask something which requires barely 20 minutes of one’s time in a day. If that objective can be attained, then in the light of the experience of the Rosary as recorded in history, we can confidently expect, through the intercession of the holy Mother of God, that the Church will overcome the difficulties it is currently facing and experience a period of renewed growth. The outcome rests in our hands, and whether enough people are willing to comply with her requests at Fatima for daily recitation of the Rosary.